How well do you know Arizona? In your many years of stay in this beautiful and picturesque state, were you able to travel and explore all that Arizona has to offer? Moreover, have you ever noticed the architectural designs of the Arizona bridges when you cross one? 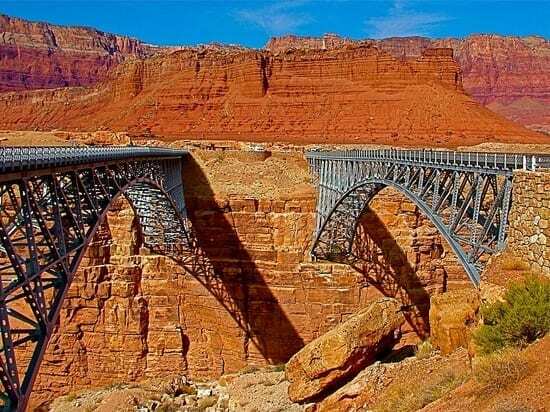 Arizona is not just the home of stunning desert landscapes and picturesque mountain views, it is also known for its impressive and elegantly designed bridges. So let’s hit the road and have a tour of some of the famous bridges around Arizona. 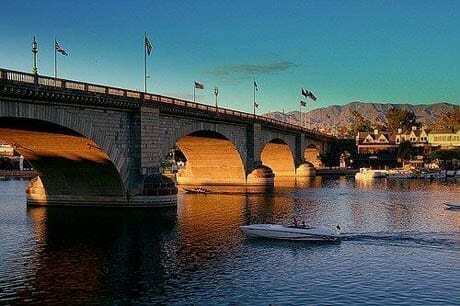 Located in the Lake Havasu City, London Bridge is a reinforced concrete structure clad in the original masonry of the 1830’s bridge which was brought from the city of London. The blocks then shipped overseas through the Panama Canal to California and trucked from Long Beach to Arizona. The reconstruction took 3 years and was completed in the late 1971. London Bridge and the Lake Havasu have gained its reputation as the recreation of the Southwest because of its ideal climate, captivating scenery and beautiful mountains and azure waters of the Colorado River. Next to Grand Canyon, London Bridge is the second largest attraction in Arizona. 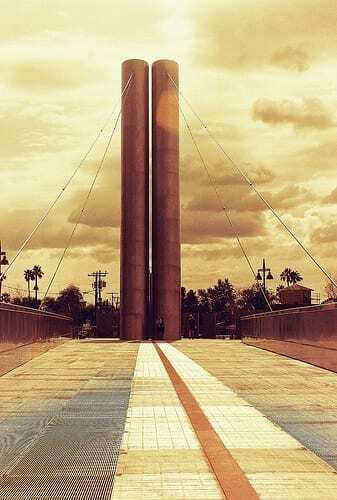 Named after the famous artist, architect and philosopher Paolo Soleri, Soleri Bridge and Plaza was once a pedestrian passage and a gathering place along the Scottsdale Waterfront. The bridge demonstrates the importance of solar movement and features two steel-clad high pylons that create a shaft of light. The bridge and plaza also feature the largest assemblage of Soleri’s world-famous wind bells. Just south of Scottsdale in Tempe is the Mill Avenue Bridge. The bridge is significant for both its method of construction and artistry of design. The bridge includes two rail bridges slightly downstream from the motor-traffic bridges: a railroad bridge of many decades’ standing, and a new bridge to accommodate the Phoenix Light Rail System. The Navajo Bridge is located on Highway 89A. Those traveling across the country on Highway 89A between Bitter Springs and Jacob Lake AZ arrive at two bridges similar in appearance spanning the Colorado River. These two bridges, one historic and one new, represent one of only seven land crossings of the Colorado River for 750 miles. Navajo Bridge is approximately 9 miles from the Cliff Dwellers Lodge. Aside from the Glen Canyon Dam, this is the only roadway crossing in the Grand Canyon for over 600 miles. You may also walk across the historic bridge, which offers perfect photography opportunities. 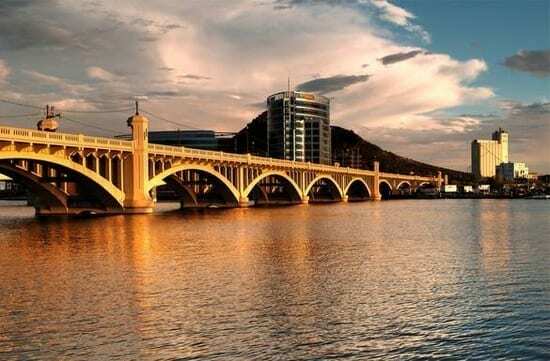 While we know about a little history and the architectural designs of some of Arizona Bridges, make sure to spare some time to visit the bridges while you can – Arizona bridges does not only connect places, it also connects us to where we truly belong.